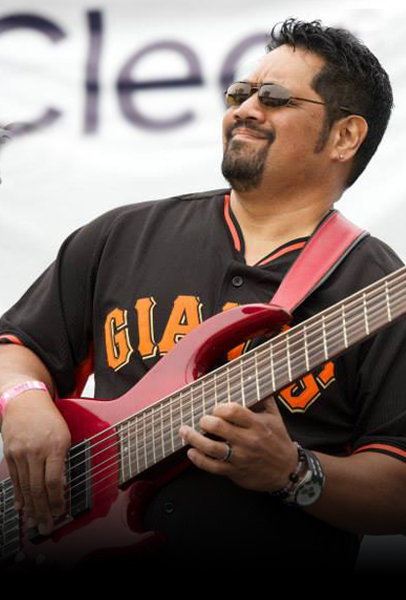 In 1983, during his college years, he started his professional career accompanying performers such as Gabe Baltazar, Henry Kapono, Loyal Garner and Nohelani Cypriano to name a few. He was a member of the Hoku award winning group, Ka'eo, as well as with the award winning group The Ali'i's. He also did a 16 year stint with the legendary Don Ho. He’s done various high school and college level seminars, covering subjects from writing, arranging and sequencing to computer music. Other than being a stage musician, Nathan has performed on commercials for Windward Mall, Meadow Gold, JCB credit card co., etc. He's done background music for various T.V. shows for the Travel Channel, and has done music beds and liners for various radio stations. 2013 Song of the Year "Uhiwai". "Island Album of the Year" "Io.